Italian rabbi; born at Acqui 1820; died in Rome 1890. He occupied successively the rabbinates of Turin, Moncalvo, and (1858) Acqui. The last years of his life were spent in Rome. Ottolenghi was a preacher of some note, and wrote a number of Hebrew poems. Among his writings are: "Matrimonio Misto," a comedy; "Dialoghi Religioso-Morali"; and "ḲolḲore," designed for the study of Hebrew literature. 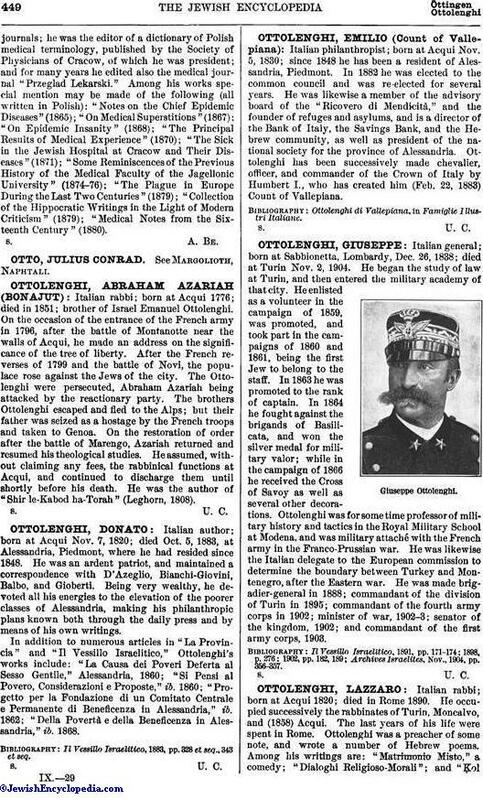 In his youth he wrote several tragedies, one of which, "Etelwige," was produced at Acqui in 1852. 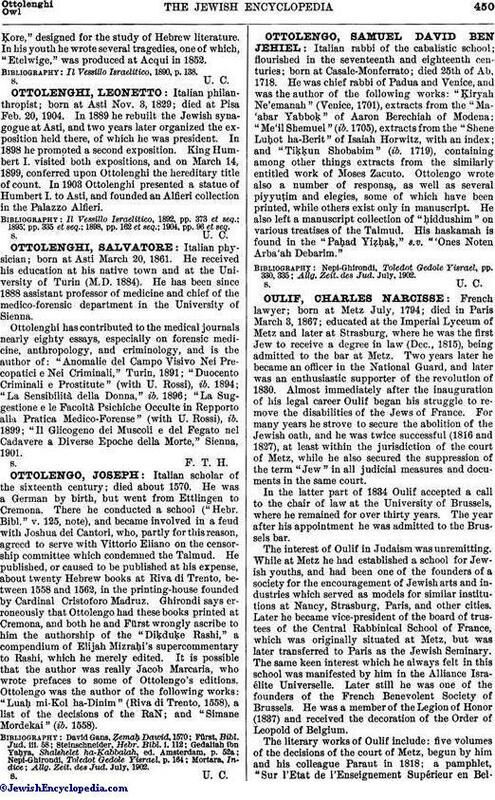 Il Vessillo Israelitico, 1890, p. 138.